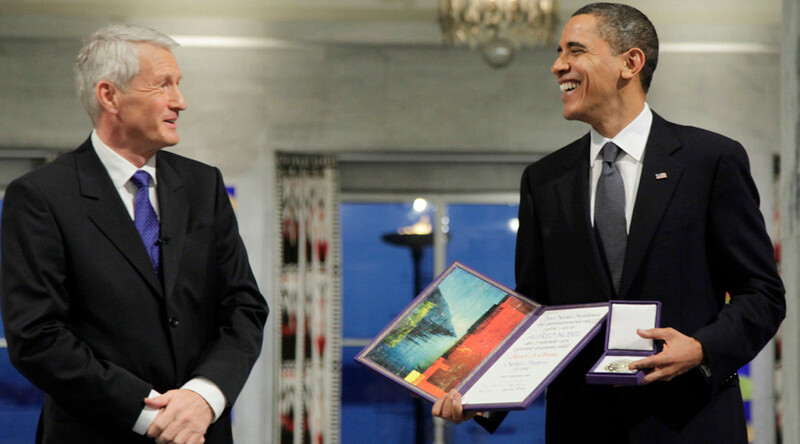 Former Secretary of the Nobel Peace Prize Committee Geir Lundestad reportedly notes in his new book that the body “didn't achieve what it had hoped for” when it gave Barack Obama the benefit of the doubt and conferred the prestigious award on him in 2009. The Norwegian historian told AP that the committee "thought it would strengthen Obama and it didn't have this effect." The five members of the Nobel Committee, often former politicians, are appointed by the Norwegian parliament. The coveted award was met with an avalanche of criticism instead. An army of opponents noted that Obama had made no foreign policy achievements worthy of the prize in less than nine months in office. On top of this, he received the award while the US was engaged in wars in Iraq and Afghanistan. "Even many of Obama's supporters believed that the prize was a mistake," Lundestad wrote in excerpts of the book, read by AP. "In that sense the committee didn't achieve what it had hoped for," Lundestad, who stepped down last year after 25 years as the non-voting secretary of the secretive committee, added. READ MORE: Obama’s behavioral science order: Efficiency or manipulation? At that point "his cabinet had already asked whether anyone had previously refused to travel to Oslo to receive the prize," Lundestad wrote, according to AFP. "In broad strokes, the answer was no. "No Nobel Peace Prize ever elicited more attention than the 2009 prize to Barack Obama," Lundestad wrote, AFP reported. He reportedly recalled that then-Foreign Minister Jonas Gahr Store tried the following year to dissuade the panel from awarding the prize to Chinese dissident Liu Xiaobo for fear it would sour Norway's relations with Beijing. "During my 25 years [on the committee], I don't ever recall seeing anything like that," Lundestad said. Ignoring the minister's warnings, the Nobel committee honored the human rights activist in 2010, leaving Oslo's ties with Beijing frozen ever since.